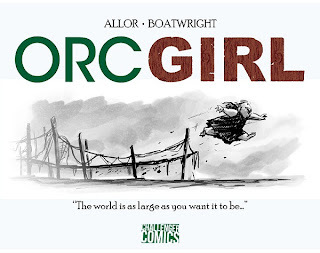 Comics Experience Blog: CE alum Paul Allor's "Orc Girl" premieres this weekend! CE alum Paul Allor's "Orc Girl" premieres this weekend! 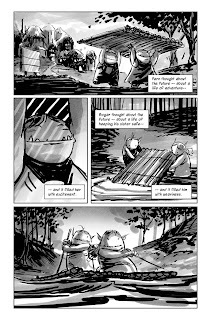 Writer Paul Allor's Orc Girl premieres this weekend, October 20, 2012 at Kokomo Con in Kokomo, Indiana. Paul is a Comics Experience alum, Creators Workshop member, and on staff at Comics Experience as the CE Book Club Manager. 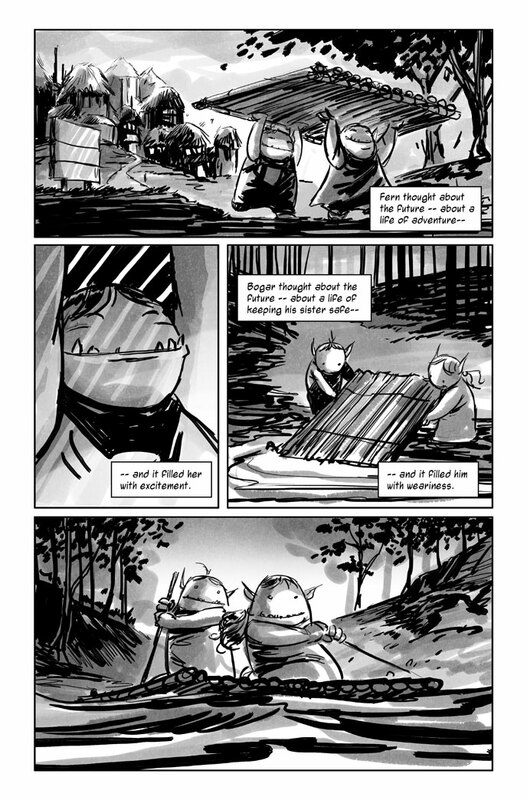 Orc Girl is Paul's new one-shot with artist Thomas Boatwright, and it's already receiving praise. Comics writer Gail Simone recently called Orc Girl "one of the best comics I’ve read in ages" and "Funny, charming, bittersweet and moving...Absolutely lovely in story and art." Orc Girl is a 48-page book, with a 22-page main story and four backup stories (two of which also appeared in Paul's Clockwork, Volume One). The comic book is being published by Challenger Comics, the imprint of writer, designer, and publisher Ryan Ferrier. Paul was recently interviewed on iFanboy and talked all about the project. Paul has partnered with Kokomo Con’s organizers to offer an exclusive Kokomo Con variant edition of Orc Girl, with a signed and numbered print-run limited to only 100 copies. 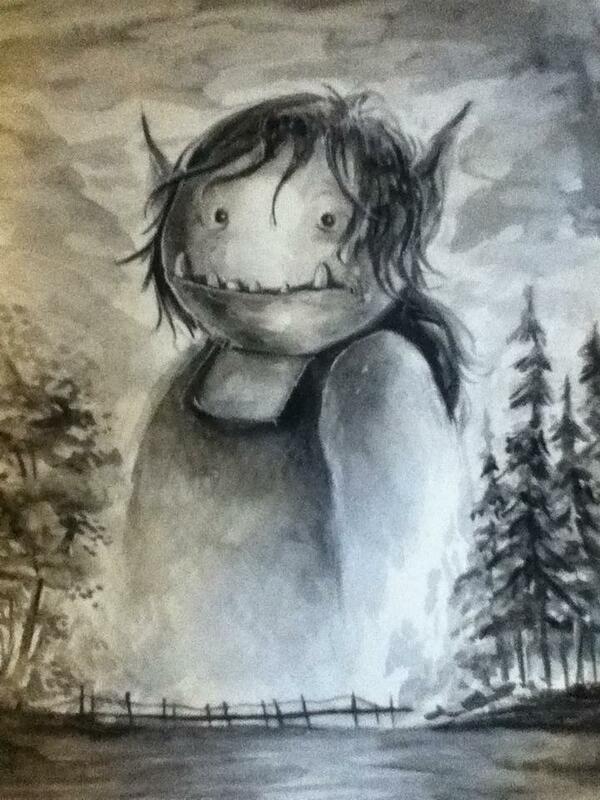 In addition, artist Thomas Boatwright has contributed a 9x12 watercolor of Orc Girl, to be auctioned off at the convention, with all proceeds of the auction going to the Kokomo Humane Society. After the con, Orc Girl will be available to order online in both print and digital form. Paul also recently wrote Teenage Mutant Ninja Turtles Micro-Series #8 featuring Fugitoid, which introduces the popular character into IDW's turtles continuity. He discussed that project on an iFanboy Don't Miss podcast recently. He is also the author of the Clockwork anthology, which contained 12 original stories on cross-genre characters such as space-faring gorilla pirates, heart-broken robots, a beautiful gunfighter, and even a man on death row. Clockwork contained artwork by Comics Experience art alums and workshop members Ken Frederick and Carl Peterson, alongside well-known artists including JM Ken Niimura (I Kill Giants), Brett Weldele (Surrogates) and Nikki Cook (Memoir). Both Orc Girl and Clockwork were recently discussed at length on the Pop Culture Hound podcast, Episode #11 with Chris Thompson & Taylor Lily, featured on Bleeding Cool. The Hound guys called Paul "a guy who's really inspirational in the way he approaches the craft." And they praised Clockwork, specifically, saying "What [Paul] achieves in some of these five-page stories is an object lesson in how much you can do with such a small space." 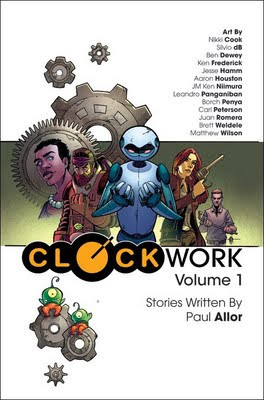 Clockwork, Volume 1 is available online on Paul's Govt Comics website. Congratulations to Paul and Thomas on the release of Orc Girl!